An animal protection organization wants Europe to halt the import of horse-meat from Brazil following an audit by the European Commission’s Food and Veterinary Office (FVO). The latest audit in Brazil found shortcomings in the production of horse-meat destined for export to the European Union. 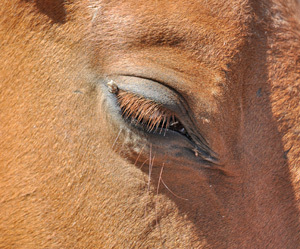 The FVO noted that the design and implementation of Brazil’s 2014 and 2015 residue monitoring plans for horses cannot demonstrate equivalent guarantees to EU food safety standards. Humane Society International/Europe wants the European Commission to stop Brazilian horse-meat imports as a result of the findings. “Once again, a Food and Veterinary Office audit has corroborated our repeated warnings that horse-meat imported from non-EU countries fails to comply with EU food safety standards,” the society’s executive director, Dr Joanna Swabe, said. The audit report also raised concerns over animal welfare prior to or during transport, with some animals arriving at the slaughterhouse either dead or extremely weak. Humane Society International/Europe urged the European Commission to immediately suspend imports of horse-meat from Brazil, as well as take appropriate measures to address traceability problems identified during recent FVO audits in other non-EU countries exporting horse-meat to the EU. Since July 31, 2010, the EU has required that only horses with a known lifetime medical treatment history, and whose medicinal treatment records show they satisfy the veterinary medicine withdrawal periods, can be slaughtered for export to the EU.